Are you looking to add something extra to your break? Personalise your stay to make it even more memorable. Our packages give you the opportunity to tailor your break to a more personal experience. Whether you want to include visits to local attractions, a boat trip along the estuary or simply indulge with a bottle of something sparkling, we will have the perfect package for you. We are offering DBB Package for a classic room as listed in the tabulation below. Guests are welcome to add extra night stays. Arriving from the 1st March 2019 and ending on the 30th June 2019. Prices are as follows: Based on staying in a Classic room. Packages include two nights accommodation with breakfast, dinner on one evening and transport to and from Eden and Heligan Gardens with a guided tour. Prices start from £410 per room (all room prices are based on two people sharing). Please telephone 01726 833302 for more information on future dates. With so many incredible gardens in Cornwall, you’ll be spoilt for choice. Let us help you to see the best with our tailor made packages. 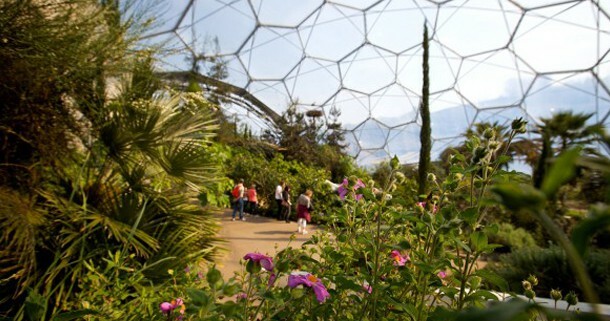 Leave the car behind and make use of an experienced local guide who will take you on a tour of two of Cornwall’s most popular attractions – the world famous Eden Project and The Lost Gardens of Heligan. The package includes two nights accommodation, breakfast and dinner on one evening, transport to and from Eden and Heligan and a guided tour. (This offer excludes entrance fees). The world’s largest greenhouse comprising a number of biomes that contain tens of thousands of plants and trees from the lush rainforests of South America, West Africa, the Oceanic Islands and Asia. The first dome emulates a humid tropical environment, the second a warm temperate Mediterranean environment. In the first, horticulture lovers can see coffee plants, coconut palms growing on their own sandy beach, papaya, pineapples, bananas and sugar cane eight foot tall. In the second, there is an ancient olive grove containing trees up to 150 years old, a vineyard, ripe citrus tress and even lavender striped aubergines. 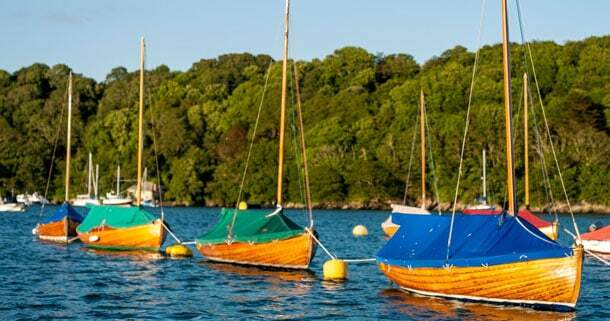 The best of both worlds, this short break offers a real Cornish experience: 2 nights by the beach on the idyllic and very peaceful Roseland Peninsula, and 2 nights in the gorgeous waterside village of Fowey with its boutique shops and stunning harbour views. 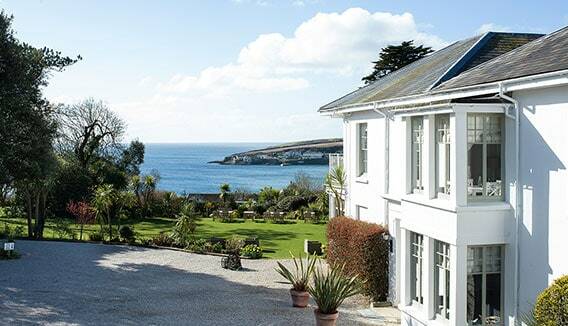 The South Coast Stay includes bed and breakfast for 2 nights at both The Rosevine and The Old Quay House Hotel, an arrival glass of bubbly and up to 15% off lunch or dinner in both acclaimed restaurants. This break is available all year round. Please call us on 01726 833302 or check availability or book online by clicking here.